See Photo Gallery at end of this article! 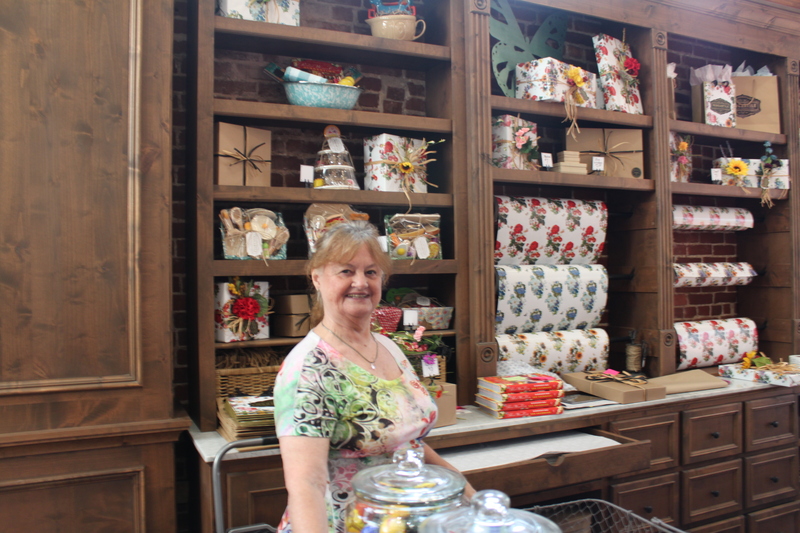 The Pioneer Woman’s Mercantile officially opened at 6 a.m. Oct. 31 in Pawhuska at the corner of Main and Kihekah. 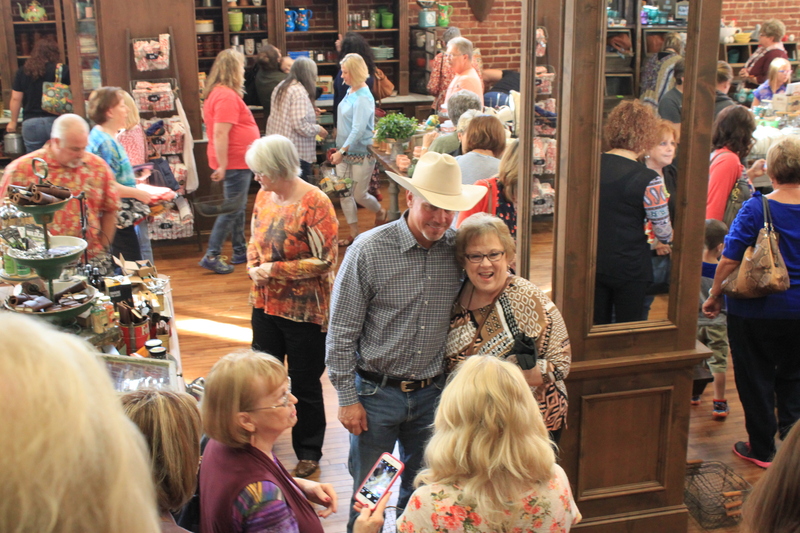 The staff, a group of volunteers and Ree and Ladd Drummond were there to welcome guests as the Food Network film crew filmed for an upcoming episode of The Pioneer Woman’s cooking show. The Deli, located on the first floor, has several dining choices. Guests may be seated and order from wait staff at their table. Next to the deli entrance, an open cold case holds bottled sodas and juices. 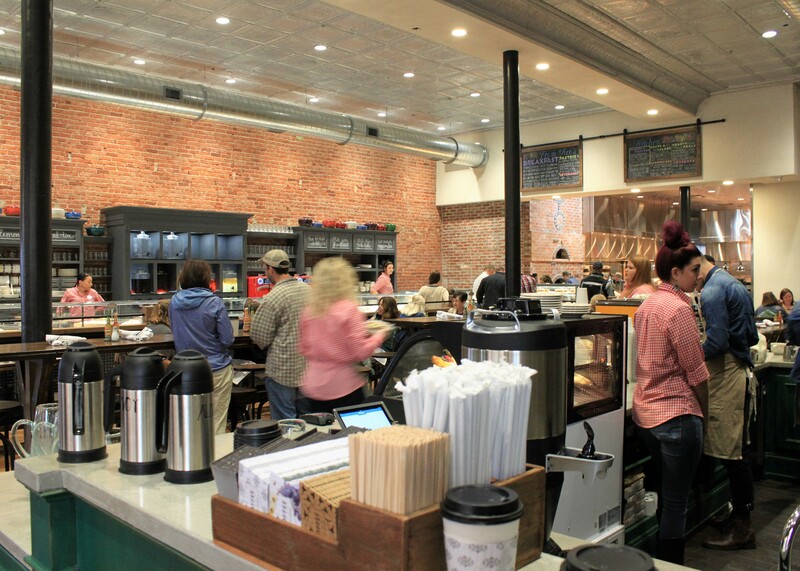 There is a coffee bar where guest can walk up and order from trained baristas serving the Pioneer Woman’s special blend of Topeca brand coffee. 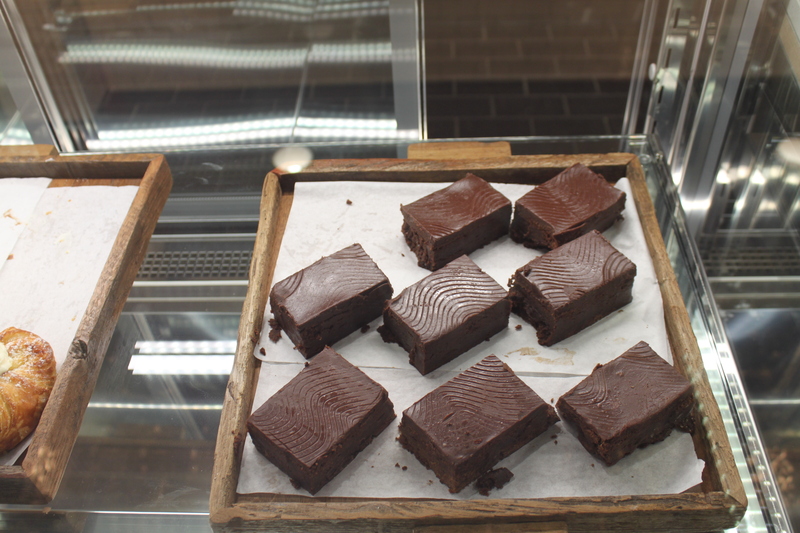 Deli guests may also order ala carte food displayed in long glass cases, where the staff waits to fill their serving trays with the items of their choice. 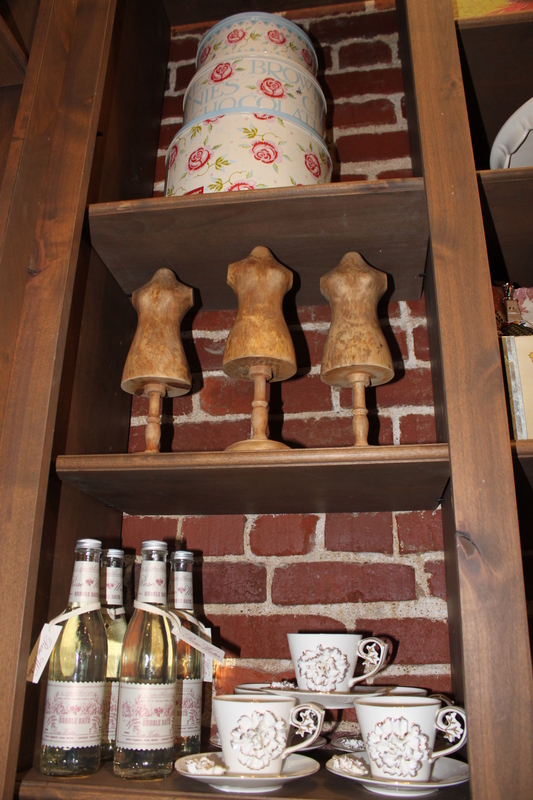 Behind the coffee bar is a wooden wall with a carved floral pattern. 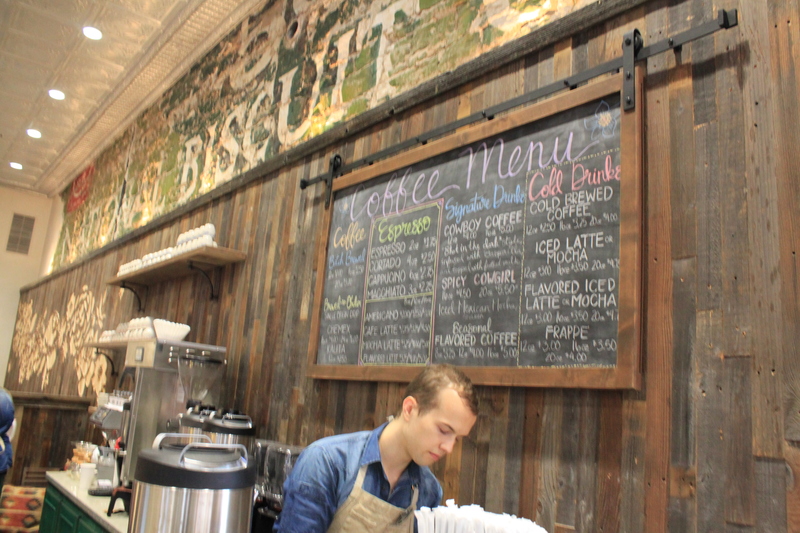 Above the wall is the original brick from the building featuring a biscuit company advertisement, which the Drummonds wanted to keep to add to the vintage-themed décor of the Mercantile. During the morning, the case hold: sticky buns, muffins, scones, fruit salad, steel-cut oatmeal with bacon and other toppings, burritos and a parfait bar of yogurt and toppings. Behind this counter are containers of iced tea and lemonade. The breakfast menu includes: pancakes, biscuits and gravy, the cattlemen’s breakfast, and steak and eggs. 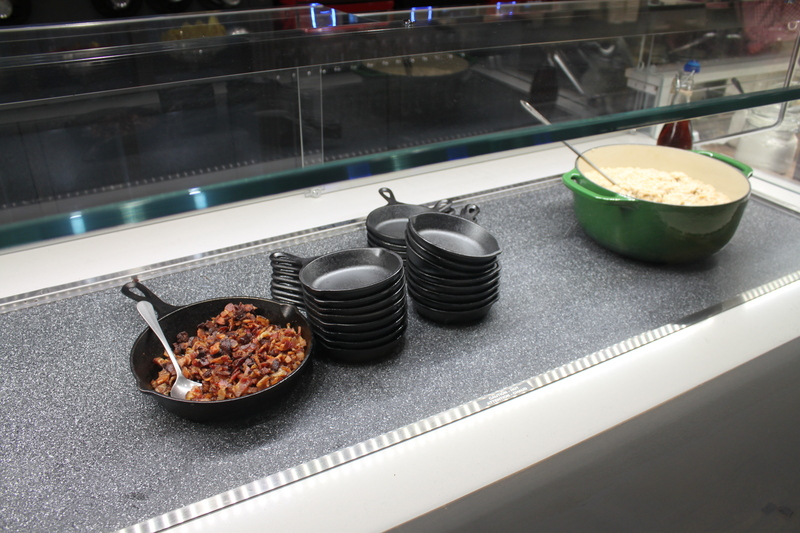 The lunch/supper menu features comfort food favorites, such as chicken-fried steak and mashed potatoes and gravy. Sandwiches, salads and soups are also available. Head barista, Caleb Smith, explained some of the special coffees they serve. The milk used in the coffees is organic and sourced from a dairy near Tulsa called Lomah. At Lomah, “the cows are milked one day and delivered the next,” Smith said. Soy and almond milk are also available. According to the Topeca Coffee Roasters website, Topeca brand coffee is “seed-to-cup”, which means the company doesn’t just purchase coffee directly from farms, they own the farms. 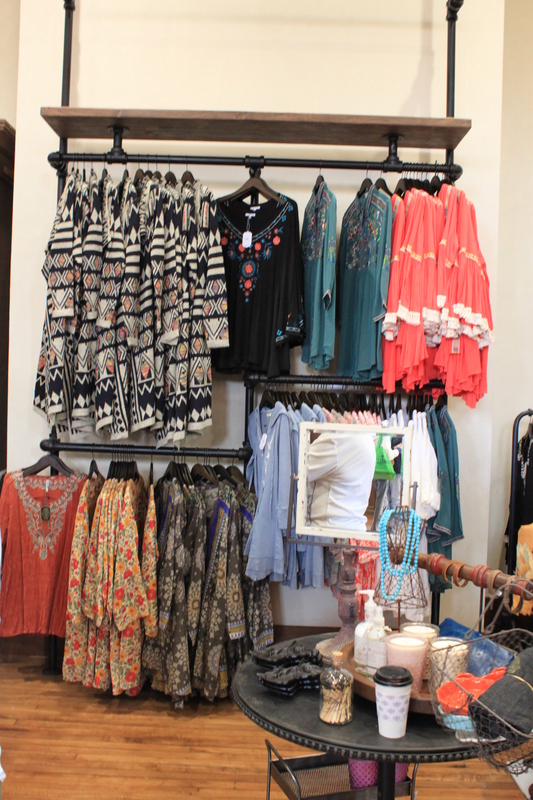 The Mercantile on the south takes up the south side of the first floor and features items with a farmhouse/rustic/vintage flair. 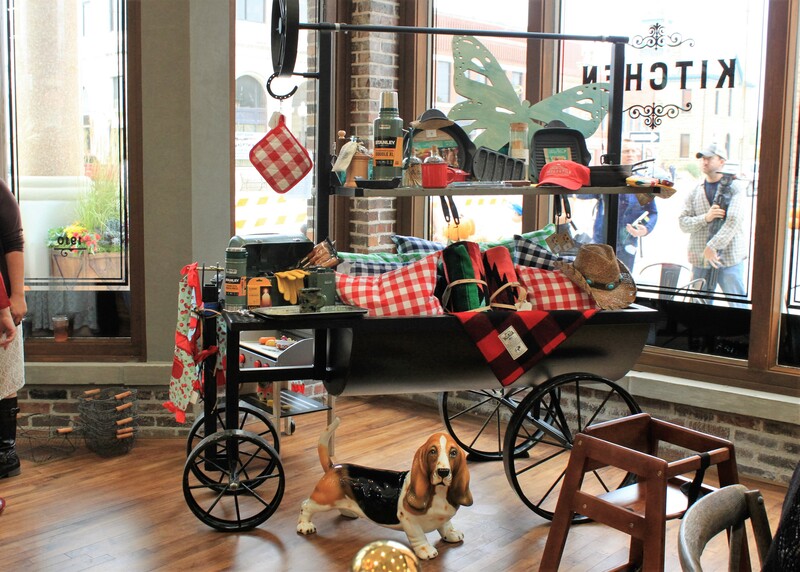 There is a display with beautifully-wrapped soaps and bath items, a corner with toys and kitchen sets for kids, a table with items for men, lots of dishes, tee shirts, a gift wrap area and the Pioneer Woman’s branch of clothing/jeans and cookware. 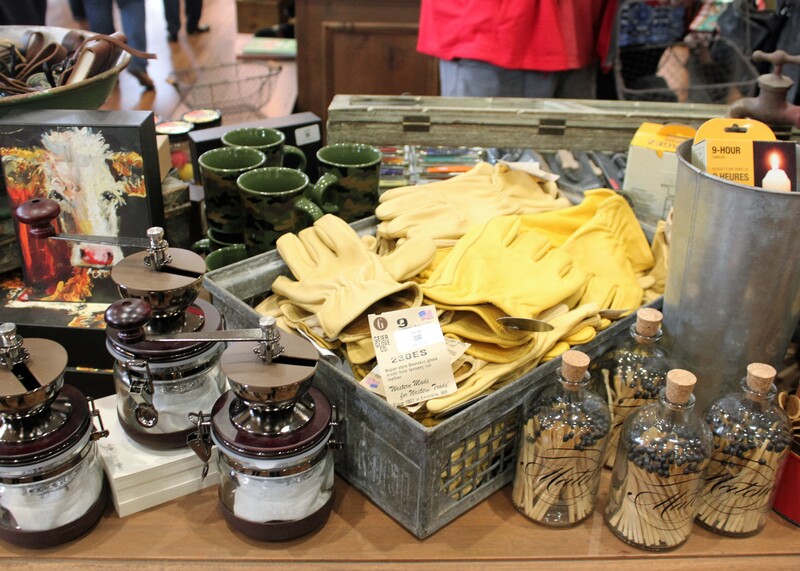 “She wanted it to feel more like home than a gift shop,” Martin explained. One special item is a custom leather bag, designed by the Pioneer Woman, made by a women’s prison work program for in Georgia. 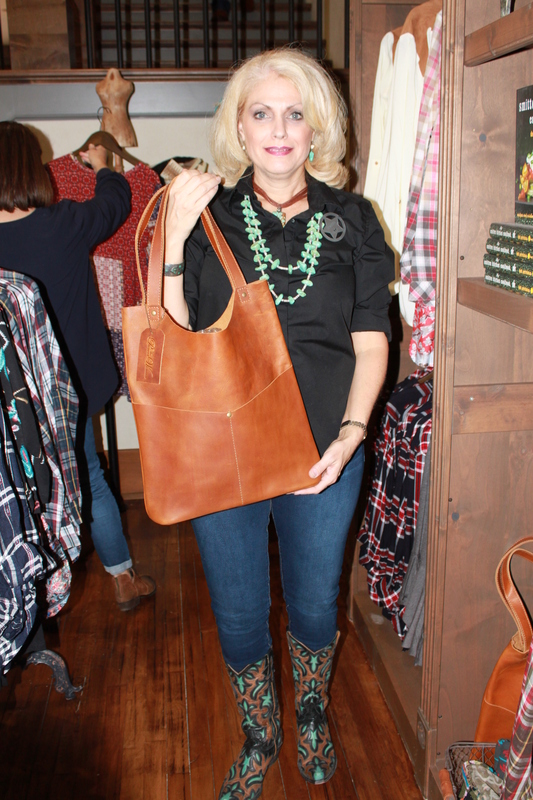 All proceeds from the sale of the bags go toward building playgrounds in Africa, a Mercantile Associate Debbie Long said. 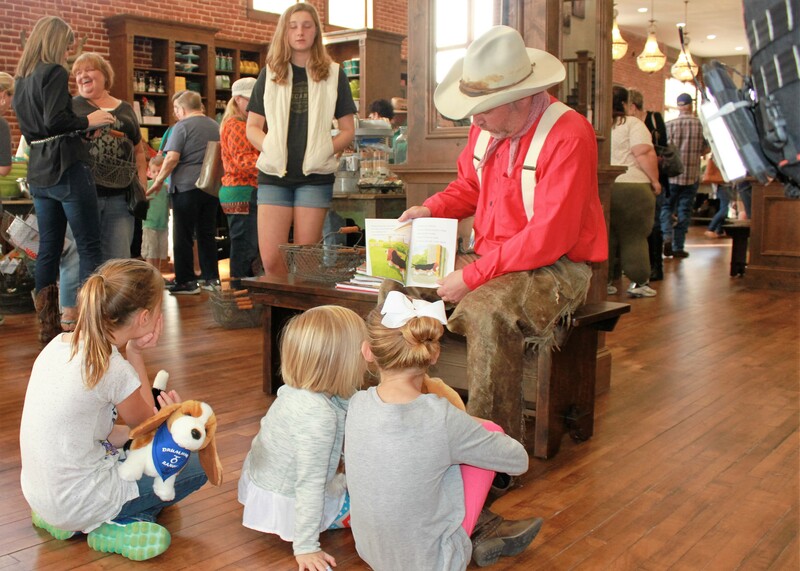 On the shop side of the Mercantile, near the gift wrap area, a cowboy read one of Ree Drummond’s children’s books to a group of children seated on the wooden floor as the Food Network crew filmed. 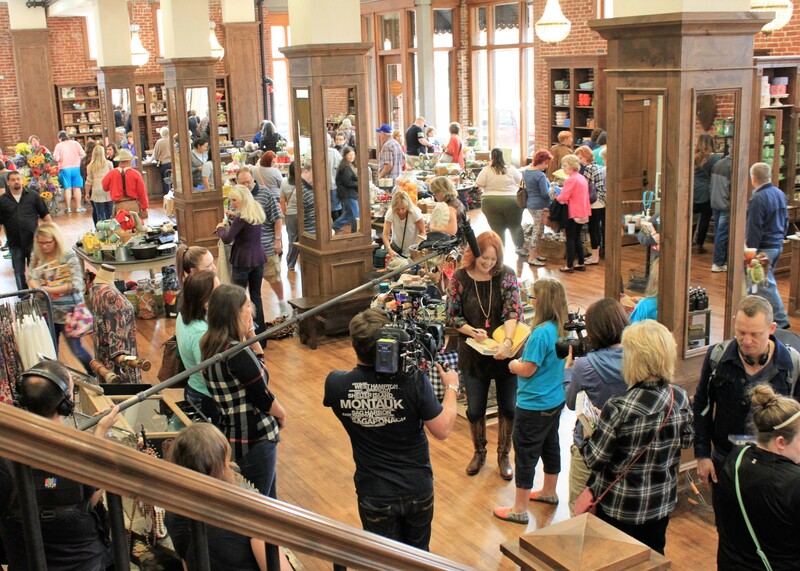 Another Food Network crew member filmed Ree Drummond greeting guests and signing her cookbooks for fans. The north side of the second floor holds offices and a conference room, which are closed to the public. Large white-tiled public restrooms with ample room for guests are located on the second floor. The south side of the second-floor bakery seating area is decorated with tables, chairs, sofas and coffee tables. The large windows let in lots of natural light. The bakery kitchen and counter are located on the second floor. 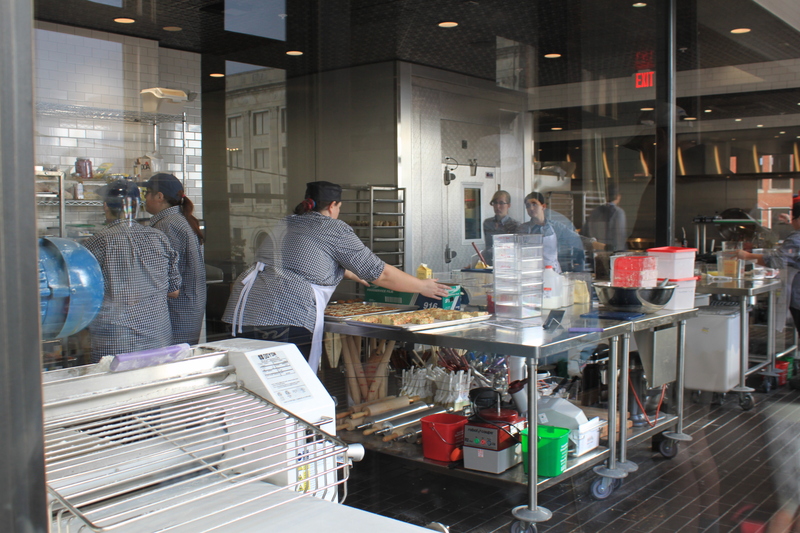 The kitchen is behind large glass windows, so that guests can see the bakers at work. 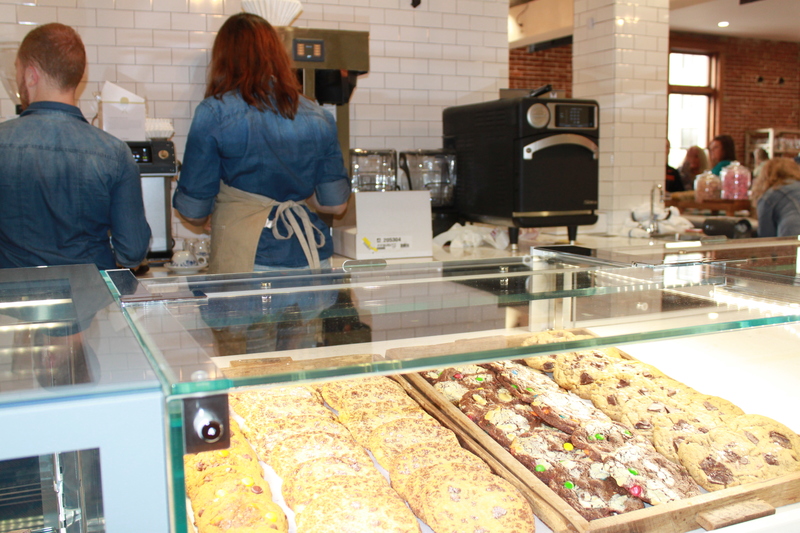 The bakery offerings include: pastries, muffins, brownies, lemon square and scones. 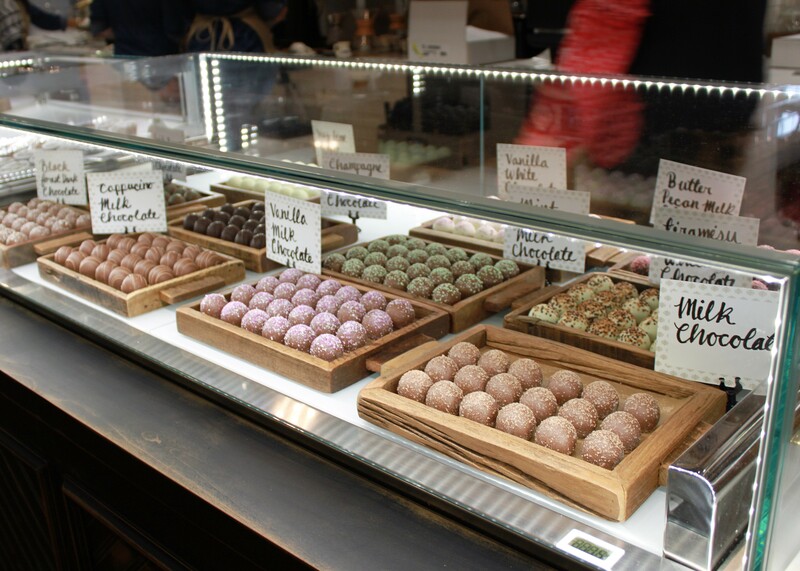 Coffee is also available and the bakery also sells gourmet chocolates and a variety of candies displayed in large glass jars. 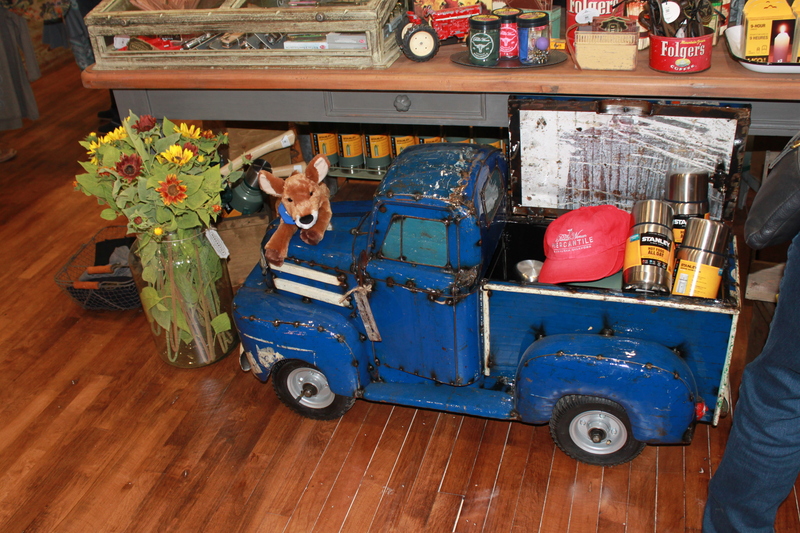 On the walls throughout the Mercantile store and Bakery are black and white photos of Ree Drummond’s four children on the ranch. Outside the Mercantile, Kihekah Ave. was blocked off from Main Street to the next block and a policeman was posted at the crosswalk on Main Street to assist pedestrians. Along the street, pumpkins were piled around street lights. 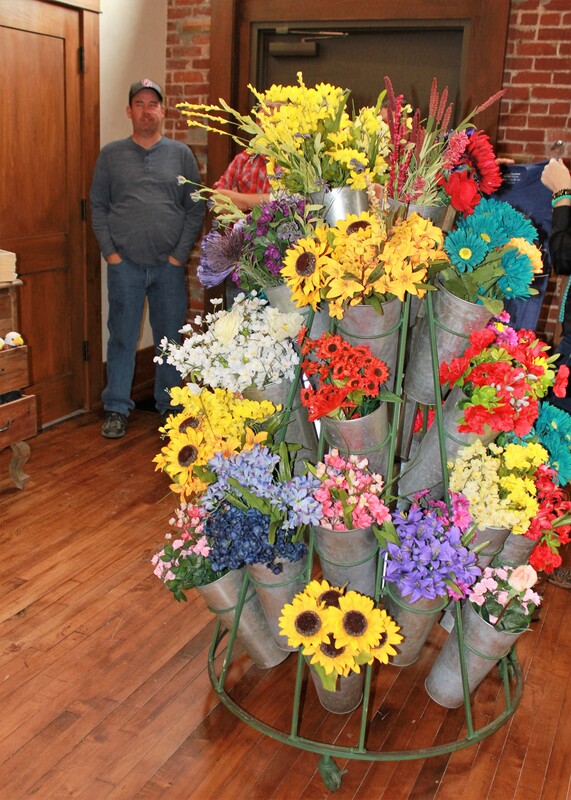 In front of the Mercantile shop column were hay bales, mums, pumpkins alongside wooden planters of decorative tallgrass. The door to the shop was open for guests who wanted to get straight to the shopping floor. On the Kihekah side of the Mercantile were brass stands with red velvet ropes to guide guests through the line to the Deli door. Deli Manager, Kurtess Mortensen, was one of those greeting guests at the deli door. 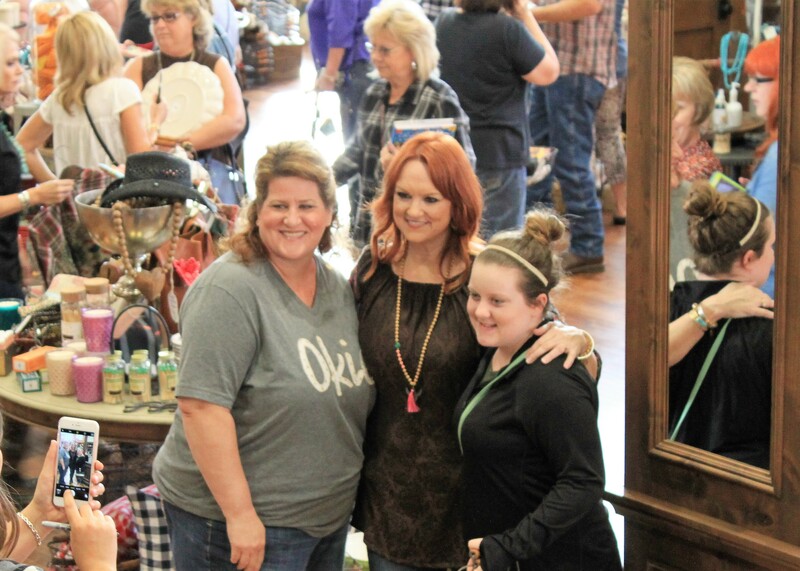 Mid-morning, Ree Drummond and Hyacinth Kane took time out to be interviewed in front of the Mercantile by a reporter from Channel Eight News in Tulsa. Kane spoke for Drummond, who had partially lost her voice. 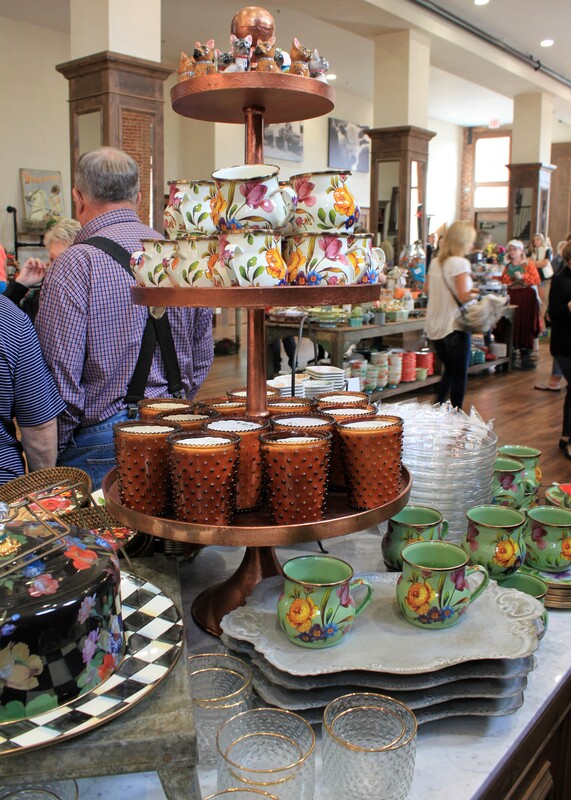 Kane said that Pawhuska had always had much to offer, great, warm people, the architecture, the Osage Nation, Tallgrass Prairie Preserve, cowboys, ranch land, but now that the Mercantile was open “the match has been lit” for Pawhuska. 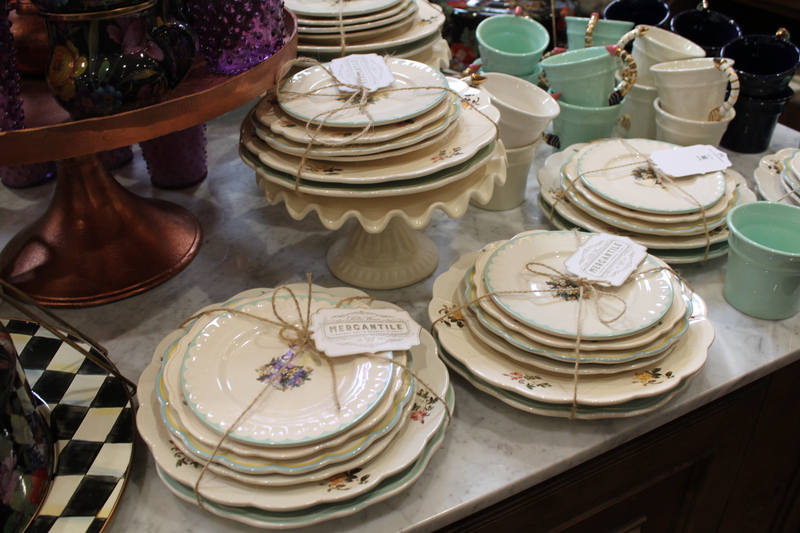 The Mercantile will be open 6 a.m. – 6 p.m. Mon. – Thurs. and 6 a.m. – 7 p.m. on Fri. and Sat, and closed on Sundays. Signage across Main Street from the Mercantile designates the lot for guest of the Mercantile only. Additional free public parking is available behind the First National Bank Building on Main Street and a block northeast of the Mercantile. 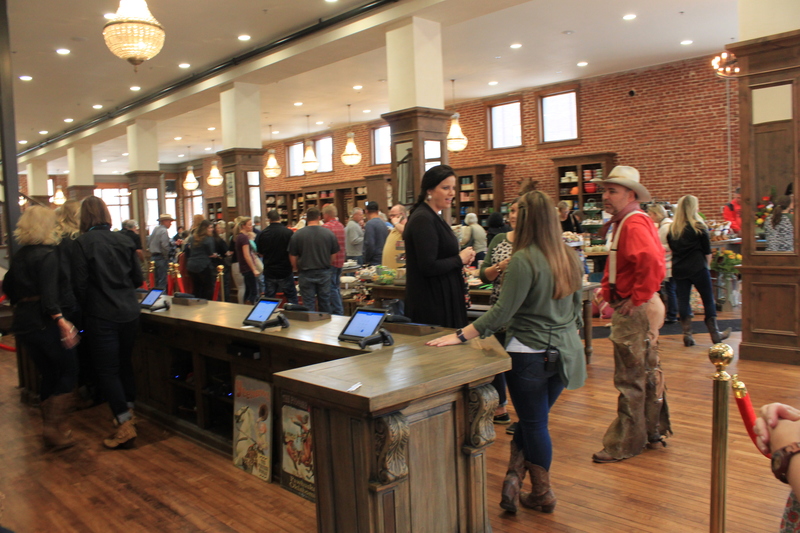 Here is a photo gallery of the Mercantile’s Opening Day!